What is the Google Sheets Feature? 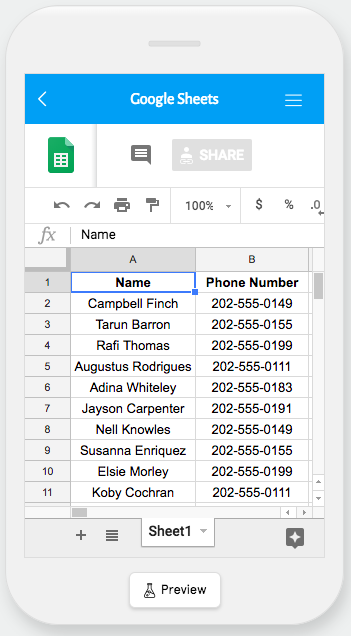 The Google Sheets Feature allows you to insert a Google Sheets spreadsheet directly into your app! What are some use cases of the Google Sheets Feature? How Do You Set Up The Google Sheets Feature? Now let’s go over how to add a Google Sheets Feature to your app, and how to make sure your Google Sheets spreadsheet is ready to be added to your app. First we’ll go over how to add a Google Sheets Feature to your app. When you’re ready to add a Google Sheets spreadsheet to your app, go to the Feature Marketplace and create a new instance of the Google Sheets Feature and place it in your app where you’d like your users to access it. If you need help with how you create a new instance of a feature, we have a dedicated article on that which you can find here. 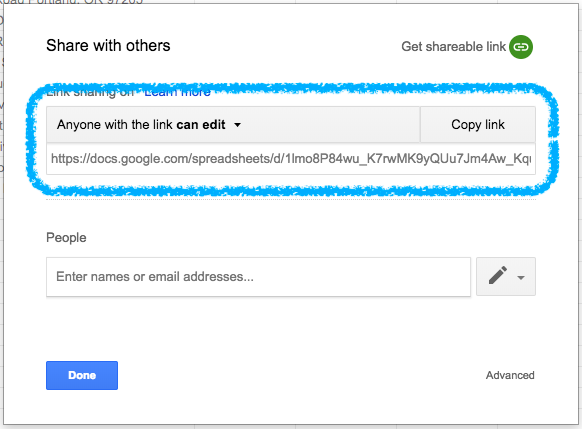 Now that you’ve created a new Google Sheets Feature, go to your Google Drive and grab the Share URL for the Sheets spreadsheet. 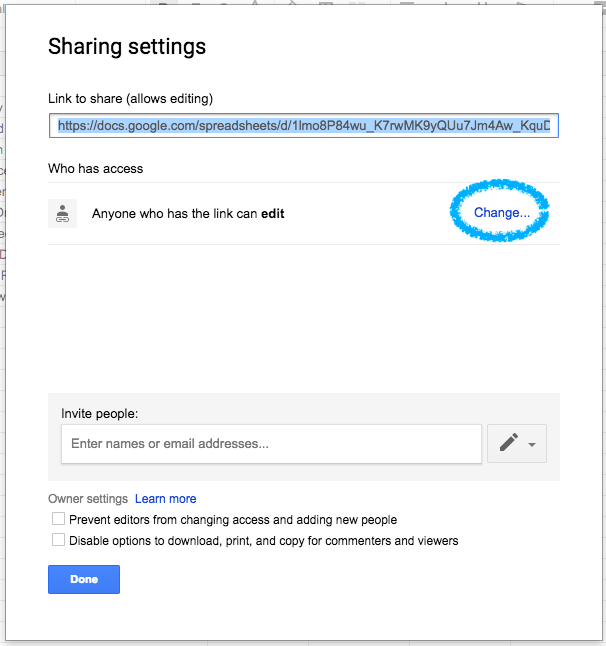 Once you’ve adjusted the share settings for your Google Sheets spreadsheet copy it’s share URL and paste it into the “URL” field in the App Dashboard and click “Validate”. Congratulations! You have now successfully added the Google Sheets spreadsheet to your app! 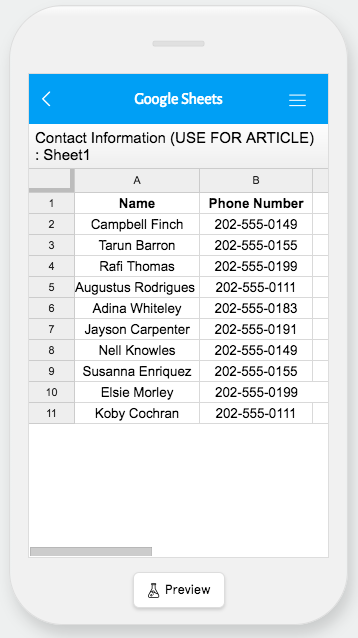 Note: For the best user experience, make sure that your Google Sheets spreadsheet has been published. If you need help on how to do this, we encourage you to check out this article from Google. Preview Mode only allows the spreadsheet’s content to be viewed, but not edited in the App Dashboard. Editable Mode allows you to make changes to the spreadsheet while in the App Dashboard without needing to go back to your Google Drive to make those changes. Choose whichever option fits best for your app. In the live app the feature is set to Preview Mode, so users are only able to view the spreadsheet’s contents. 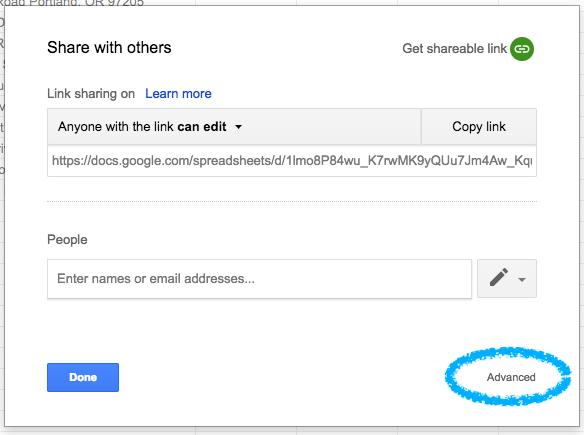 Make sure your spreadsheet’s share settings are set up properly. If it’s on Preview Mode, then it should at least be “Anyone with the link can view”. 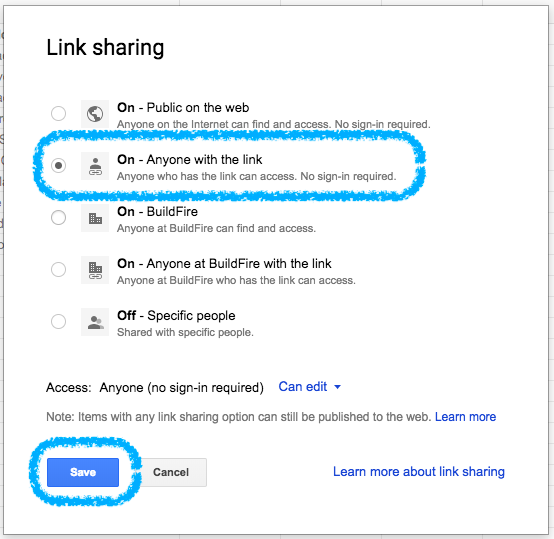 If it’s on Editable Mode, then it should be “Anyone with the link can edit”.